With the razing of Holley's environment by the city of Birmingham came daily acts of theft and vandalism. With the razing of Holley's environment by the city of Birmingham came daily acts of theft and vandalism. 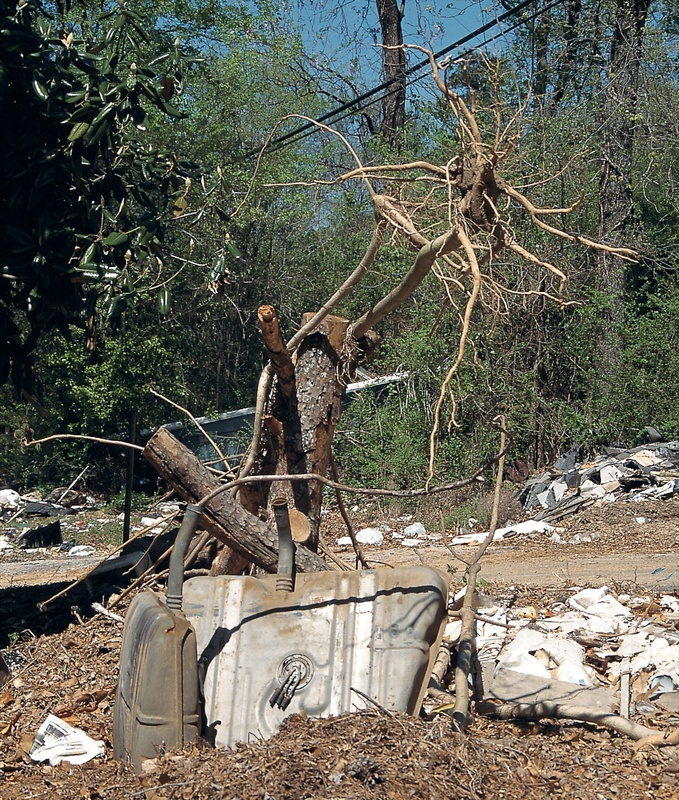 Trash and garbage appeared around Holley's property, so that it resembled a poorly maintained landfill. Holley, undaunted, created sculptures out of all of it. A corner of the yard would be vacant one day; the next, piled with burned wood and other leftovers from someone's bonfire or junk heap; and on the third, covered with Holley's impromptu sculptures made from the debris. This postapocalyptic-looking sculpture garden had a short life. Holley would act and the bulldozers would react; the City would inevitably have the last word. Holley would create sculptures; the bulldozers would destroy them. Up they went; down they came. Holley described this process as "like a yo-yo."